Yes, the rumours are true. The Steven Spielberg show Terra Nova was guillotined by Fox, after a short but exciting life of a single season. Alas, ladies and gentlemen, Terra Nova is now extinct. Oh, c’mon, one dinosaur joke is permitted. Sadly, it is true. Fox cancelled the new Steven Spielberg series, since it cost a pretty penny, but attracted too few. The plot of the show follows the Shannon family as they magically travel 85 million years into the past — so dinosaurs are involved, yes. The series was actually one of the most expensive ever made; the two-hour pilot alone tallied up to an eye-twitching $20 million! Most of the money was dedicated to the special effects, but filming in Australia was not free either. Terra Nova‘s premiere actually enticed 9.2 million viewers, but the numbers have dwindled considerably since then, and the finale drew only 7.2 million viewers. Which may be respectable for other shows; but, considering the budget and calibre of the series, the expectations were a wee higher. But don’t fret, all you paleontology lovers. There is talk of selling the show to a different network, so all is not lost. Fingers crossed! 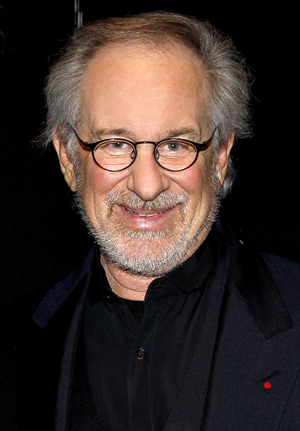 This might be a bit of a heartbreak for Spielberg, but he’ll shake it off like a champ.